Todays flight took us up to Steubenville Ohio were we picked up our passenger Jennifer and her Sister Ame. From Steubenville we flew them over to Allentown PA, were they would continue their flight to Boston MA with Angel Flight Pilot Terry Crummett. We departed home base Luray early and our flight conditions up to Steubenville were smooth as glass and clear. 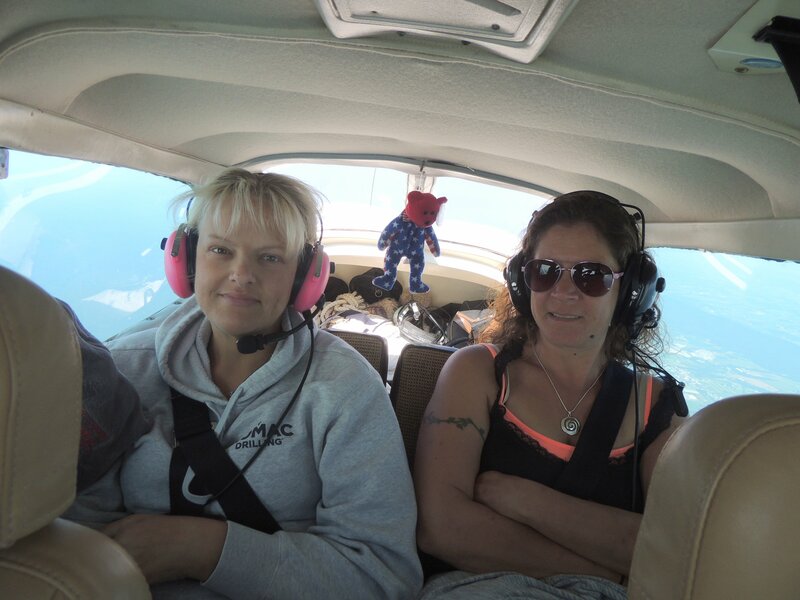 We arrived ahead of schedule and after Jennifer and Ame arrived and we exchanged greetings and hugs we loaded up and departed for Allentown PA, once again our flight conditions were very smooth and mostly clear with an occasional cloud to pass thru. We arrived at Allentown right on schedule and Terry was there ready to continue Jennifer and Ame onto Boston. We gave our goodbyes along with more hugs and talked a bit with Terry (Angel Flight Pilot to Boston) before departing for home.